Once completed, The Kendeda Building for Innovative Sustainable Design is expected to become the most environmentally advanced educational and research facility of its kind in the Southeast. It is anticipated that the project will achieve Living Building Challenge 3.1 certification in 2021. 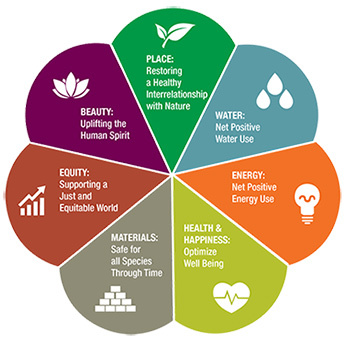 To be certified under the Living Building Challenge, projects must meet a series of ambitious performance requirements – Petals – over a minimum of 12 months of continuous occupancy and operations. The majority of information presented on these associated pages is courtesy of Lord Aeck Sargent.